William Rittenhouse, a successful businessman and devout Mennonite, was born in Germany in 1644. He moved to the Netherlands in the early 1660s and eventually emigrated to Germantown, Pennsylvania, in 1688. Drawing from years of experience in papermaking, Rittenhouse opened a paper mill in 1690 and became the first papermaker in the British colonies. Rittenhouse effectively navigated the complexities of colonial business to become a respected community leader and network-builder. He fostered connections with buyers and sellers from a wide variety of groups, ethnicities, and religious backgrounds, gaining a virtual monopoly on papermaking for four decades. During his time in the Netherlands, Rittenhouse converted to the Mennonite faith. He was drawn to North America by William Penn’s promotional tracts advertising a “holy experiment” in Pennsylvania--one which sought to grant religious freedom to persecuted worshippers such as the Quakers, Pietists, and Mennonites. Local Mennonites encouraged Rittenhouse to become their first bishop, but the printmaker demurred. In 1698, he was officially named the minister of the growing community, but he did not perform any ordinances and therefore could not officially become a bishop. 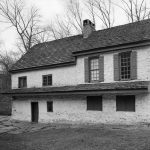 In his ministerial role, the German- and Dutch-speaking Rittenhouse fostered further connections within the Mennonite community and is believed to have organized the construction of the Germantown meeting house before his death in 1708. After William Rittenhouse’s passing, his son Claus Rittenhouse gained the twenty-acre paper mill property. 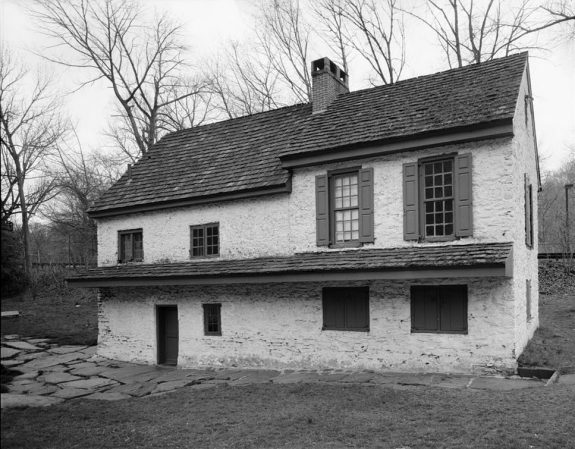 This included the home shown in this 1972 photograph, a structure that eventually housed eight generations of the Rittenhouse family. Astronomer David Rittenhouse, William’s great-grandson and the namesake of Rittenhouse Square, was born here in 1732. 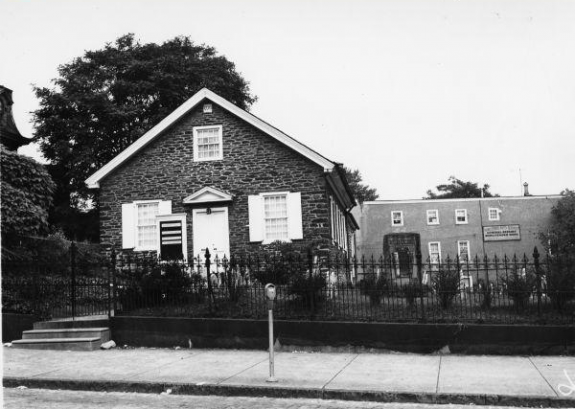 The first Mennonite meetinghouse in America was a Germantown log cabin built in 1708. As Mennonites continued to emigrate to the area, ideas emerged for a more permanent and architecturally stable place of worship. These plans finally came to fruition in 1770, when a meetinghouse built of local Wissahickon stone opened for weekly services. Today, the Germantown Mennonite community worships in a separate site at 21 W. Washington Lane. The historic meetinghouse is still used for special events, such as the Christmas Eve and Lenten foot-washing services. The museum section of the meetinghouse features several exhibits and artifacts, including the table upon which the 1688 Petition Against Slavery was signed. Many Mennonites emigrated to North America in the late seventeenth century to escape religious persecution in Europe. Attracted by William Penn’s promise of a “holy experiment” where believers of multiple religious backgrounds could live in peace, the first wave of Mennonite immigrants arrived in Pennsylvania by October 1683. These original immigrants helped to establish Germantown, a small village about six miles north of Philadelphia which eventually became consolidated into the city proper in 1854. At first, the Mennonites shared worship spaces with German Quakers, who comprised the majority population. They founded their own separate worship space in 1690 and eventually constructed a meetinghouse in 1708. 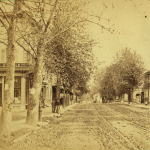 Although Philadelphia remained a port of entry during the eighteenth and nineteenth centuries, additional Mennonite immigrants often gravitated toward rural areas. At the time of this 1860 photograph, most Mennonites were following other American migrants west towards states like Ohio, Illinois, and Indiana. Even so, the Mennonite community in Germantown persisted and the 1770 meetinghouse space remains open as a museum and occasional worship space. 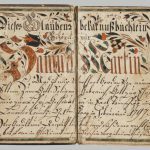 As the Mennonites gradually distinguished their views from aspects of Anabaptist doctrine, they used printed materials to establish their positions. Catechisms, such as this 1790 book, outlined doctrine primarily for the instruction of youth. Elaborate calligraphy, a question-and-answer format, and frequent Scripture references often characterized these books. Although this book was printed in Lancaster County, similar catechisms could be found in and around Philadelphia at the time of its printing. Catechism editions usually incorporated additional religious materials such as confessions of faith, hymns, and prayers. The Oxford Circle Mennonite Church on E. Howell Street houses a congregation of approximately 100 for weekly services and community outreach. According to the Association of Religion Data Archives, it was one of ten Mennonite churches active in Philadelphia County as of 2010. The church’s origins can be traced to 1946, when an Oxford Circle Mennonite family started Sunday School outreach within their housing development. As interest grew, they partnered with a local mission board to purchase a plot of land. 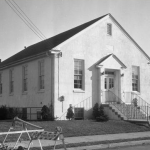 The church opened in 1951; its original location is pictured here in 1959. Today, the church hosts a farmers’ market, annual community festival, and children’s summer education program, among other projects. A new, larger location, located a block away from the older property, allowed for the creation of the Oxford Circle Christian Community Development Association (OCCCDA). This association focuses primarily on educational opportunities, including after-school programs and adult education classes. Philadelphia offered seventeenth-century Mennonite immigrants a gateway to the New World and their first permanent settlement in what would become the United States. Despite decades of migration to other parts of the country, Mennonites not only persisted in the city but also grew and diversified. By the early years of the twenty-first century, Mennonites in the greater Philadelphia region worshipped in eleven languages, reflecting the ethnic and racial diversity of the city itself. Mennonites trace their religious roots to sixteenth-century Anabaptism, the so-called radical wing of Europe’s Protestant Reformation. On the continent, Mennonites and other Anabaptists distinguished themselves by practicing adult (rather than infant) baptism and by refusing to participate in violence, especially warfare. Persecuted in Europe for their convictions, many Mennonites emigrated to North America in the last half of the seventeenth century. Hoping to avoid the political and religious sanctions they had experienced in their homelands, Mennonites in North America developed an identity as “the quiet in the land” by distancing themselves from the surrounding culture in visible ways. They opposed voting and holding public office, practiced nonviolence by refusing to join the military, required members to wear distinctive clothing (often called “plain dress”), and maintained strict disciplinary procedures for those who deviated from church expectations. Such social, political, and religious separatism enabled Mennonites to preserve their ethnic identity and Old World convictions in the new American setting. The first Mennonites to establish a permanent settlement in North America arrived in Philadelphia in October 1683. Most were of Dutch ethnic origin; a second wave, mostly Swiss, arrived in the early eighteenth century. Invited to the city by its Quaker founder, William Penn, the original immigrants settled in Germantown, then a small village about six miles north of the city (subsequently incorporated into Philadelphia in 1854). For a time, Mennonites worshiped with German Quakers, who constituted the majority population in the village. Some even converted to Quakerism; among these converts were three men who, in 1688, joined with a Lutheran Pietist to write the first protest against slavery in America, known as the Germantown Protest. In 1690, Mennonites established their own separate meeting for worship. In 1708, the congregation held its first baptism and communion service in a building constructed the same year and considered the oldest still-standing Mennonite meetinghouse in America. Yet, while the city served as a port of entry for most Mennonite immigrants of Dutch and Swiss-German ancestry coming to America in the seventeenth, eighteenth, and nineteenth centuries, few settled there. Most moved beyond Philadelphia to establish farming communities in places such as Franconia Township and Lancaster County, Pennsylvania. They believed that rural settlements would allow them to better preserve their distinctive practices and group identity. Thus, by 1820, some four thousand Mennonites and two hundred Amish, a closely related group, had settled in eastern Pennsylvania. Between 1817 and 1860, many Mennonites followed broader patterns of American migration and moved west, establishing settlements in Ohio, Illinois, Indiana, Michigan, and Iowa. By the dawn of the twentieth century Mennonites had formed communities as far as Kansas, Oklahoma, Nebraska, Texas, Oregon, and California. During this period of Mennonite migration and resettlement in the nineteenth and early twentieth centuries, a variety of forces—religious, economic, and social—began to change Mennonite faith and practice. Cities, including Philadelphia, played a key role in these transformations. For instance, beginning in the 1830s and 1840s, some Dutch- and German-speaking Mennonites embraced the experiential faith of English-speaking evangelical Protestants, as well as their practices of revivalism, religious education, and missionary activity. These practices ultimately drew some Mennonites into major American cities, including Philadelphia, in hopes of finding converts to Christianity. Yet many of these new converts did not share Mennonites’ Dutch or Swiss-German ethnicity, nor their separatist beliefs, forcing would-be missionaries to adapt Mennonite faith to new contexts. These adaptations laid the groundwork for major changes to Mennonite faith and practice in the mid-twentieth century. Additionally, during and after the American Civil War, changes in industry, transportation, and communication also propelled some entrepreneurial Mennonites into cities in search of new economic opportunity. Working and living in the urban crucible compelled some Mennonites to conform to the pressures of assimilation, including the pressure to speak English rather than German or Dutch. Later, in the years following World War I, the Great Migration of African Americans from the South to northern cities and towns also challenged Mennonite theology and practice. In Philadelphia, African Americans felt drawn to Mennonites’ simple faith and the sense of family-like community they felt in worship services. Yet they balked at countercultural practices such as plain dress, especially because church members and leaders often failed to counter American society’s notions about racial hierarchy and segregation. For example, Philadelphia Mennonites contributed to the racial segregation that accompanied the migration of African Americans into the city in the interwar period. In the early 1930s, several African Americans began to attend services at the Mennonite mission near Norris Square in the Kensington neighborhood. Within a year, amid fears of racial mixing, mission leaders approved a petition to start a separate congregation for these new African American attendees. 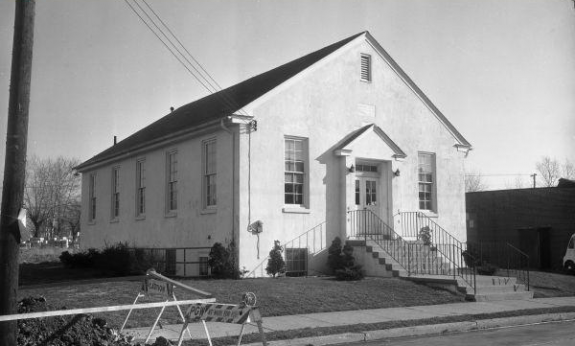 In this new church, originally known as the African Mennonite Mission and then renamed Diamond Street Mennonite Church after its move to West Diamond Street in 1942, members were expected to conform to the dress expectations of their white Mennonite counterparts even though they could not participate in services with these fellow believers. According to one scholar, many African American Mennonite women embraced plain dress as a way of showing their equality with white Mennonites and challenging racial hierarchies within the church; others balked at these practices, resulting in tensions with missionaries and other church leaders. Even as Philadelphia Mennonites faced these and other particular tensions, a century and a half of religious, economic, and social change propelled Mennonites across North America to alter, adapt, or even discard some elements of their religious beliefs and practices. Despite regional and cultural variations and differences, especially between urban and rural communities, three major transitions occurred during the middle decades of the twentieth century. During World War II, many Mennonites transformed the church’s commitment to nonviolence from a passive refusal to join the military to an active pursuit of peace and justice, often embodied in war relief, humanitarian aid, and economic development efforts. Around the same time, many leaders began to view plain dress, nonparticipation in politics, and other practices as ethnic conventions, rather than biblical or theological mandates, and subsequently ceased to require them of new members. And during the Civil Rights movement and the Vietnam War in the 1950s and 1960s, some Mennonites stepped outside the ethnic enclave and translated their convictions about peace and justice into overt activism in support of the antiwar and black-freedom causes. Among Philadelphia Mennonites, these broader changes paralleled an explosive period of church growth. 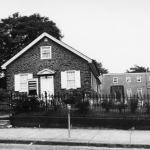 By the 1950s, different Mennonite groups had established a mere five separate congregations in the city, in addition to the many rural congregations scattered throughout Bucks and Montgomery Counties; one congregation in Greenwood, Sussex County, Delaware; and one congregation in Oxford, Warren County, New Jersey. But by 2000, Mennonites had seventeen congregations in the city proper, with several more in the city suburbs and dozens in the surrounding counties; ten congregations in Delaware; and sixteen congregations in New Jersey. The post-1950 growth signaled a new era of Mennonite presence in Philadelphia. While some churches remained predominantly white, most of the new congregations were racially and ethnically diverse. Members of these new churches embraced a self-conscious Mennonite identity, but did so without European ancestry. Many Mennonites’ transition away from ethnic separatism as well as their newfound activism on behalf of peace and justice issues made them more sensitive to the needs and attitudes of their diverse, urban neighbors. In the 1960s and 1970s, numerous African Americans and Latino/as joined established Mennonite congregations or started new ones. In the 1970s and 1980s, waves of immigration from Global South nations such as India, Vietnam, China, Ethiopia, and others, led to the establishment of several new Mennonite churches in the city. 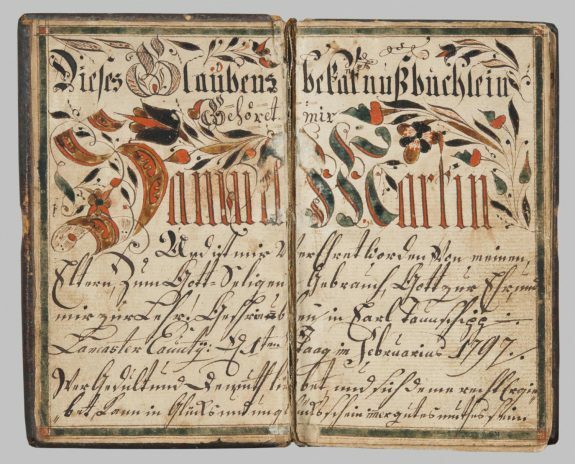 By the late twentieth and early twenty-first centuries, many Mennonites in Philadelphia worshiped in a language other than English—a fact that linked them to their German- and Dutch-speaking spiritual ancestors who arrived in Philadelphia some three hundred years earlier. Devin C. Manzullo-Thomas is lecturer in the humanities and director of the E. Morris and Leone Sider Institute for Anabaptist, Pietist, and Wesleyan Studies at Messiah College and a Ph.D. candidate in American history at Temple University in Philadelphia. Gingerich, Jeff, and Miriam Stoltzfus. All God’s Children: Philadelphia Mennonites of Lancaster Conference, 1899-1999. Leola, Pa.: Imperial Graphics, 2000. Gross, Leonard, and Jan Gleysteen. Colonial Germantown Mennonites. Telford, Pa.: Cascadia Publishing House, 2007. Lichty, Richard J. An Increase in Time: Story Lines of Germantown Mennonite Church and Its Historic Trust, 1683-2005. Elkhart, Ind. : Institute of Mennonite Studies, 2016. Ruth, John L. Maintaining the Right Fellowship: A Narrative Account of Life in the Oldest Mennonite Community in North America. Studies in Anabaptist and Mennonite History, no. 26. Scottdale, Pa.: Herald Press, 1984. ___________. The Earth is the Lord’s: A Narrative History of the Lancaster Mennonite Conference. Studies in Anabaptist and Mennonite History, no. 39. Scottdale, Pa.: Herald Press, 2001. Mennonite Heritage Center, 565 Yoder Road, Harleysville, Pa. The Mennonite Heritage Center holds records for many of the Mennonite congregations in and around Philadelphia, including the Germantown Mennonite Church, the oldest Mennonite congregation in America. Germantown Mennonite Historic Trust and the Historic 1770 Germantown Mennonite Meetinghouse, 6133 Germantown Avenue, Philadelphia. Mennonite Heritage Center, 565 Yoder Road, Harleysville, Pa.